Indigestion is a feeling of discomfort in the stomach after eating or without eating. Indigestion in children is a common problem and it may be associated with several other problems. Indigestion may be associated with flatulence in children. Dyspepsia in children is a common problem due to faulty eating habits. Indigestion is not a disease but it is a symptom that may be present along with many other ailments of the digestive system in children. Indigestion occurs when there is insufficient production of enzymes and acid in the stomach. Children who like to eat processed food or take unhealthy food suffer from indigestion. This may produce variety of other symptoms in children. 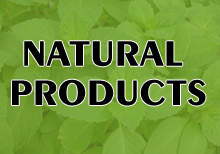 Indigestion in children can be easily treated by using natural remedies. Homeopathic remedies are also very effective for the treatment of dyspepsia in children. Indigestion is a name given to upset stomach. Indigestion may occur when children eat too much or eat too fast. Indigestion is often associated with heartburn. There is constant pain and burning in the chest due to over production of the hydrochloric acid by the stomach. It may be aggravated by eating spicy foods. Eating too much food also aggravates the symptoms of indigestion. Some children eat too much. They eat more than the capacity of their stomach to digest properly which cause problem. Any stress or anxiety can also lead to dyspepsia in children. Some children eat very fast which does not allow proper digestion of the food and may causes symptoms of indigestion. Fatty and spicy greasy foods can cause indigestion. Some children drink aerated drinks which may cause digestive problems. Children suffering from indigestion may complain of pain in the abdominal region. Nausea and vomiting may be present. Flatulence is a common symptom associated with indigestion. Diarrhoea or constipation may occur alternately with ingestion. Appetite is reduced; children do not like to eat due to sensation of fullness in the abdomen. Children may have bad taste in the mouth and the tongue becomes coated. There is foul smell from the mouth. Children with indigestion feel weak and may have fever. Children do not take interest in daily activities and want to lie down all the time. 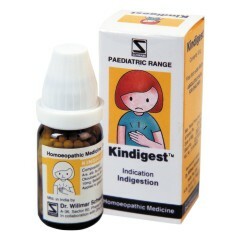 Natural remedies such as homeopathic remedies are very useful in the treatment of indigestion in children. Home remedies and natural remedies greatly help in giving relief from indigestion without producing any side effects. Arsenicum album: This is an excellent remedy for indigestion problem in children. It is indicated when child complains of pain in the stomach at night. It is helpful when nausea and vomiting is present. It is the best homeopathic remedy when indigestion occurs after eating fruits, ice-cream or ice water. Child has a desire to drink small amounts of water at frequent intervals. Croton tiglium: It is also a useful remedy for indigestion in children. It is indicated when there is copious and yellow diarrhoea. It may be given when children suffer from diarrhoea after eating fruits in summer or drinking milk. There is constant desire to pass faeces with pain in the stomach. Okoubaka: This homeopathic remedy is best for children who complain of fullness of stomach with distension. There is extreme colic and rumbling sound in the stomach. Nausea and vomiting is present with great weakness of the extremities. It is indicated when children suffer from indigestion due to dietary changes. Veratrum Album: This is a great homeopathic remedy for children who suffer from ingestion and diarrhoea. There is complete loss of strength due to frequent passing of the stool. It is indicated when digestive membranes become inflamed due to over eating. Belladonna: This is recommended when there is spasmodic colicky pain in the abdomen. 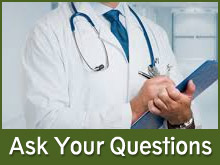 There is greenish stool and patient has red face while passing stool. When child suffers from indigestion try to give liquid diet. You may give carrot juice mixed with water or orange juice to give relief from indigestion. Continue this for a day or two as it helps in the detoxification of the digestive system. Child should be give light food including rice, dal, curd, etc. Do not give anything which is difficult to digest. You may also include fruits in the diet to treat the indigestion in a natural way. Children should be advised to eat slowly and does not hurry up while eating food. Lemon juice is an effective remedy for indigestion. Take half glass of water and put juice of one lemon along with a pinch of black pepper and rock salt to give relief from indigestion in children. Mix a pinch of salt in a small quantity of ajwain. 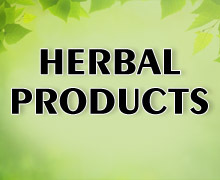 It is an effective remedy and gives quick relief from pain in the abdomen due to indigestion. Avoid giving spicy and greasy foods to the children. Children should be given food early at night so that there is enough time for digestion process to take place. Grapefruit is also useful for the treatment of indigestion in children. Grapefruit helps in going relief from flatulence in children quickly. Mint juice is also useful for indigestion. Take one teaspoon of mint juice mixed with honey to get relief from indigestion.